Would you eat worms to boost your overall health or cure what ails you? Over 7,000 people intentionally self-infect with parasites, and the practice is growing in popularity. Later on, you’ll hear the testimony of a young woman from the state of Missouri, famously known as the ‘show me state,’ who practices Helminthic therapy at a high cost. The practice of ingesting live parasitic worms for medicinal purposes is called helminthic therapy. Many patients pursue the experimental therapy to treat chronic autoimmune disorders such as Crohn’s disease, asthma, multiple sclerosis, and inflammatory bowel disease. The principle behind the helminthic therapy is that many autoimmune disorders are caused by a hyperactive immune system, and the parasites help alleviate the symptoms. Adherents to the practice believe that swallowing parasitic worms replenishes the human microbiome and balances out an overactive immune system. 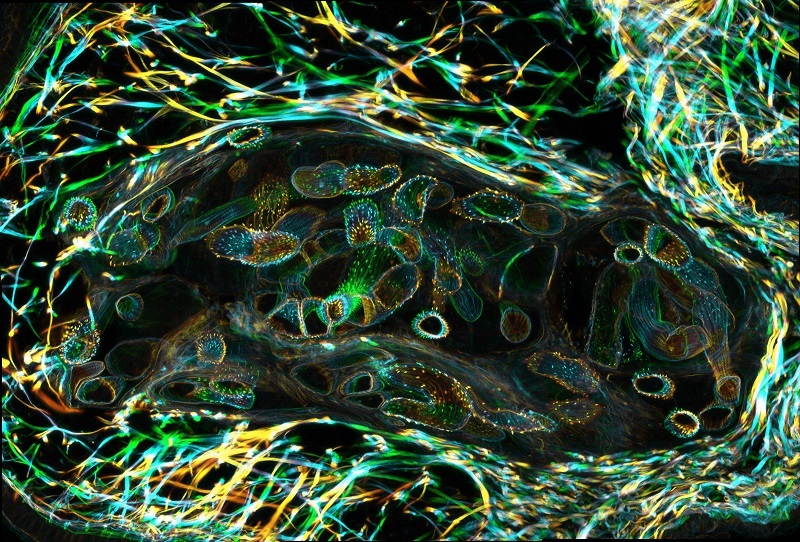 Researchers are examining several of these worms for the treatment of autoimmune diseases including, pig whipworms, hookworms; human whipworms and the rat tapeworm. Scientists are investigating the benefits of helminthic therapy in the treatment of several conditions including ulcerative colitis, inflammatory bowel disease, Crohn’s disease, multiple sclerosis, and asthma. Many patients swear by the practice, even though helminthic therapy is not approved in many countries, including the US. Regulatory authorities say they need more evidence as to the efficacy of helminthic therapy. According to a 2015 review published in the Journal of Evolutionary Medicine, people who practice parasite therapy are growing. The study’s authors estimate that nearly 7,000 people worldwide are self-treating their autoimmune conditions using helminthic therapy. Many people defend the practice and point to research studies which show a striking global pattern: immune disorders are much rarer in less developed countries where parasite infestation is widespread than in industrialized nations where pathogens have been kept under control. The “Hygiene Hypothesis” and the closely-related “Old Friends Hypothesis” propose to explain why immune diseases are more prevalent in industrialized countries like the United States. Both of these hypotheses suggest that our immune system cannot learn to regulate itself without exposure to common pathogens like helminths and that modern hygienic practices deprive people of this necessary exposure. Despite the fact that therapeutic treatment with helminths has yet to be approved by the FDA, overseas worm merchants are willing to sell us parasites for a steep price. That fact did not stop one woman from purchasing the parasites, however. A St. Louis journalist named Leah Shaffer reported trying the worm eggs. Ms. Shaffer suffers from an inflammatory bowel disease known as ulcerative colitis, an autoimmune disease which inflames the colon and leaves it rife with open sores. Patients with ulcerative colitis experience intense abdominal pain, weight loss, vomiting, diarrhea, and rectal bleeding. At the cost of about $1,500 for a three-month supply, a company based in Thailand was more than happy to sell Ms. Shaffer a medicinal worm drink called TSO1000. A vial of TSO1000, short for Trichuris suis ova, delivers one thousand pig whipworm eggs in a salty solution. After consuming the salty TSO1000 drink, the eggs hatch into whipworms who then settle in the intestines. As soon as the immune system realizes there are parasites in the stomach, it triggers an anti-inflammatory reaction which in turn helps alleviate bowel disease. It’s not the only research study that shows the pig worm eggs to be of little benefit. Shaffer quoted a clinical trial of pig whipworm eggs published in the journal Science in April 2016. In the study conducted at New York University (NYU), researchers tested the experimental therapy on 200 people who had either ulcerative colitis or Crohn’s disease. The results were uninspiring. The patients who drank the parasites reported improvement in their inflammatory bowel disease symptoms, including abdominal pain, bleeding, and diarrhea. 70 percent of those with Crohn’s said their symptoms disappeared. Unfortunately, the results were not as good for patients with ulcerative colitis, the same condition which Leah Shaffer suffers from. Only half of those with ulcerative colitis saw a reduction in symptoms. The researchers reported the same odds as a coin toss. Some might think that Ms. Shaffer overpaid for her pig whipworms, as more than a billion people worldwide are infected by parasites without paying a cent. Not all parasites are created equal. While the ‘Old Friends’ hypothesis is being debated, mankind is plagued by parasites who are not our friends. 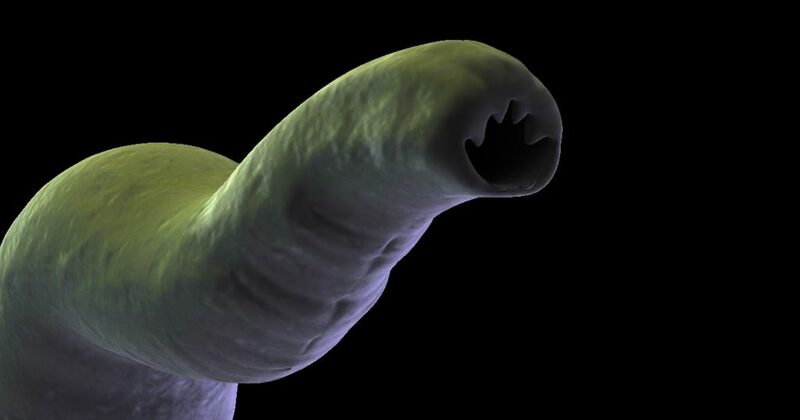 When compared to the more virulent parasites that plague mankind, the ones used in helminthic treatment, such as hookworms, whipworms, and threadworms, appear relatively harmless. Other parasites are decidedly not as benign. According to the World Health Organization (WHO), approximately 1.5 billion people are infected with helminths, typically poor people living in third world countries. These unfortunates, living mostly in tropical climes, are not just infected by the relatively benign soil-transmitted helminthiases, such as pig whipworm, but rather by the more virulent ones. Parasites which not only weaken the afflicted but typically maim, blind or kill. Parasites unnecessarily cause more than a million cases of blindness, maiming or death each year, charitable organizations are spending billions of dollars each year trying to eradicate them. Because health agencies can treat the afflicted in bulk, costs have come down. Charitable organizations estimate it costs around 79 cents to deworm a child – a number driven low because so many people, often children, are infected. In fact, parasites are responsible for much of the illness and suffering in the developing world, including organ damage, blindness, and death. These include parasites such as Human African trypanosomiasis (sleeping sickness), Leishmaniasis, Lymphatic filariasis, Onchocerciasis (river blindness), and Schistosomiasis. And that’s the short list which doesn’t include malaria, leprosy and other neglected tropical diseases which blind, kill and maim many more unfortunate people. The irony is that while some people in the Western world are consuming parasites to improve health, the majority of people in the developing people are desperately trying to avoid them. The WHO reports that for the year ending 2015, the most recent year for which data is available, 66.5 million people have been treated for schistosomiasis. Furthermore, these numbers are a significant reduction from the prior years, as global health organizations have made tremendous progress in reducing the diseases. The river blindness parasite that causes 300,000 people to go blind each year. Credit NIH. Not all of those inflicted are killed by the parasites. Some merely go blind. Take the parasite that causes river blindness, onchocerciasis volvulus. Of those affected, 300,000 are blind, and 800,000 have a visual impairment. Despite the progress made in eradicating the disease, estimates that at least 25 million people worldwide are infected with the parasite, according to the CDC, citing WHO statistics. The CDC adds that some 123 million people are still at risk of becoming infected with the parasite. 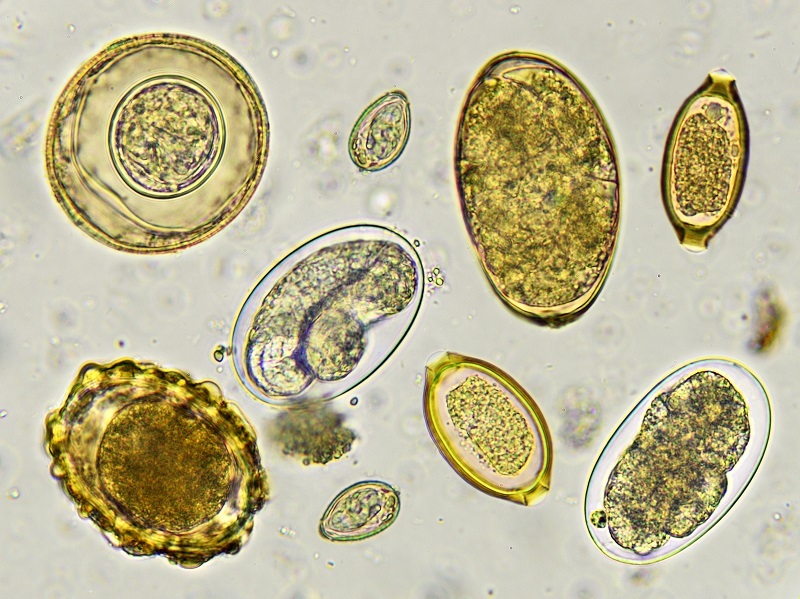 Charitable organizations have made great strides toward eradicating parasites, for example, the non-profit Children Without Worms (CWW). The mission of Children Without Worms is evident by their name; the non-profit has partnered with the Task Force For Global Health, a mega charity that delivers billions of dollars worth of treatments each year to control and eliminate neglected tropical diseases. 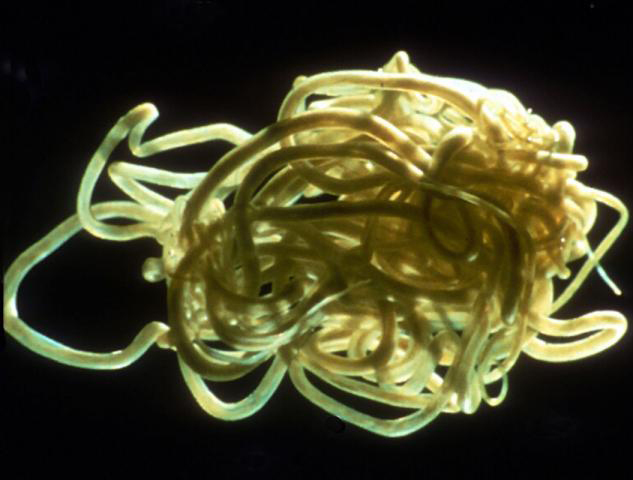 Learn about people who eat tapeworms as a way to lose weight. As well, a belief called the Hygiene Hypothesis argues that we need to have more bacteria in our bodies as a way to treat chronic autoimmune disorders. Learn more in part 1 of this series. Related Article: Part 1 of Eating Worms to be Healthy is at this link. Sign up for our email list – We use your email to notify you of new articles. We don’t spam and we don’t share your email address. Cancel at any time. Bloomfield SF, et al. Time to abandon the hygiene hypothesis: New perspectives on allergic disease, the human microbiome, infectious disease prevention and the role of targeted hygiene. Perspect Public Health. Volume: 136 issue: 4, page(s): 213-224. July 1, 2016. http://doi.org/10.1177/1757913916650225. Link to publication. Leah Shaffer. Old Friends: The Promise of Parasitic Worms. Undark.org (Blog). Publication date: 12.20.2016. Retrieved Sep 23, 2017. Link to Publication. Helena Helmby. Human helminth therapy to treat inflammatory disorders – where do we stand? BMC Immunology 2015 16:12 https://doi.org/10.1186/s12865-015-0074-3 ©Helmby; licensee BioMed Central, 26 March 2015. Link to publication. J. Schölmerich, et al. P389. A double-blind clinical trial on Trichuris suis ova (TSO) in active Crohn’s disease resulted in a significant placebo effect both in patients and investigators without objective evidence of reduced inflammation. Journal of Crohn’s and Colitis, Volume 9, Issue suppl_1, 1 February 2015, Pages S274, https://doi.org/10.1093/ecco-jcc/jju027.508. Link to Publication. NYU Langone Medical Center. Worm infection counters inflammatory bowel disease by drastically changing gut microbiome. (Press Release). NYU Langone Medical Center. April 14, 2016. Link to publication. Deepshika Ramanan, Rowann Bowcutt, Soo Ching Lee, Mei San Tang, Zachary D. Kurtz, Yi Ding, Kenya Honda, William C. Gause, Martin J. Blaser, Richard A. Bonneau, Yvonne AL Lim, P’ng Loke, Ken Cadwell. Helminth infection promotes colonization resistance via type 2 immunity. Science, 2016 DOI: 10.1126/science.aaf3229. Link to publication. Diagnosis, Treatment, and Advice: This article is intended for educational and informational purposes only and is not a substitute for professional medical advice. Helminthic therapies are experimental treatments and have not been approved by the US FDA. Experimental treatments such as helminthic therapy carry a much higher risk than FDA-approved ones. The information provided in this report should not be used during any medical emergency or for the diagnosis or treatment of any medical condition. Consult a licensed physician for the diagnosis of any and all medical conditions and work pursue treatment only under the guidance of a licensed, qualified physician. Call 911, or the equivalent emergency hotline number, for all medical emergencies. As well, consult a licensed physician before changing your diet, supplement or exercise programs. Endorsements, Photos & External Links: This article is not intended to endorse organization, companies, or their products. Links to external websites, mention or depiction of company names or brands, are intended for illustration only and do not constitute endorsements.